Dotco 10-27 Series Heavy Duty Head Buffer/Polisher features durable aluminum housing and a high output motor for demanding sanding applications. Also featured on the Dotco 10-27 Series Heavy Duty Head Buffer/Polisher is the heavy duty low profile head for superior durability. Dotco Buffers, and Polishers are available in a variety of styles and power ratings to provide flexibility in choosing the best tool for the job. Disc sanding and polishing, wire brushes, buffing wheels, abrasive sheets, woven or non-woven belts. No matter the application, Dotco has a quality tool solution. The 10L2760-80 Dotco 12-27 Series Buffer/Polisher - Heavy Duty Head, 5/8''-11 External Thread is one of thousands of quality tooling products available from MRO Tools. Please browse Dotco 12-27 & 10-27 Series Heavy Duty Head Buffers/Polishers for tools similar to the 10L2760-80 Dotco 12-27 Series Buffer/Polisher - Heavy Duty Head, 5/8''-11 External Thread. 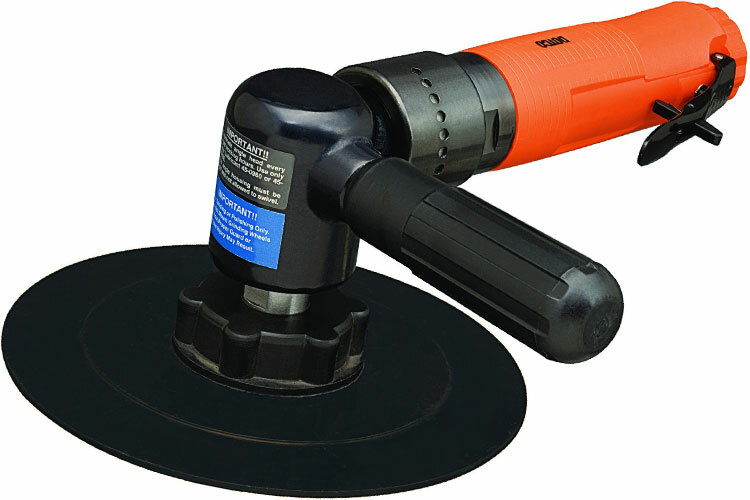 10L2760-80 Dotco 12-27 Series Buffer/Polisher - Heavy Duty Head, 5/8''-11 External Thread description summary: Dotco 10-27 Series Heavy Duty Head Buffer/Polisher Termination: 5/8'' - 11 External Thread Free Speed (rpm): 3,300 Abrasive Capacity: 4''(102mm) Wire Brush, 6''(152mm) Buffing Wheel Type Housing: Aluminum Weight: 3.9lbs Overall Length: 9.30'' / 236mm Quantity discounts may be available for the 10L2760-80 Dotco 12-27 Series Buffer/Polisher - Heavy Duty Head, 5/8''-11 External Thread. Please contact MRO Tools for details.